Memorial Day is a wonderful way for us all to remember the men and woman who have sacrificed their lives for our country as well as celebrate the freedom that we have because of their sacrifice. Whether you are celebrating at home or away, inside or outside, small or grand, creating a patriotic display is always a fun way of expressing your gratitude! And if you are a parent, a great way of teaching your kids how to show appreciation for others! If you are driving by Royal Flair Events you will see we have brought a little patriotic nostalgia to our window display and shown what makes us think of the USA! You can view our most recent window displays on our Instagram page. Today we wanted to share with you some of our most favorite red, white, and blue party displays and details! Let these great ideas spark your creative side! 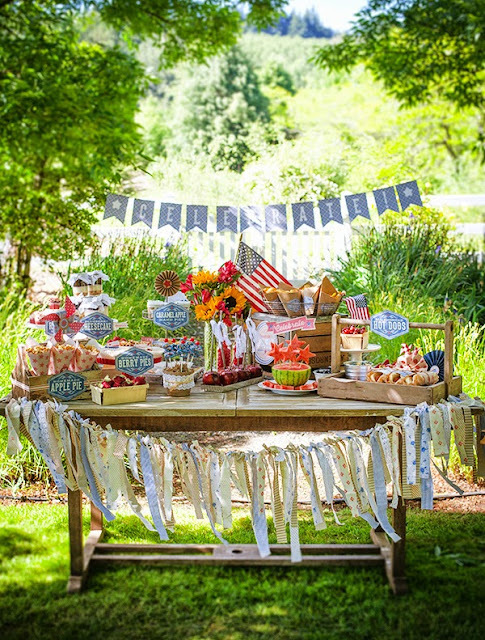 We are in love with this patriotic set up created by Lia Griffith and featured on Hostess with the Mostess. Even better than just getting visual inspiration for your event, Lia gives us tutorials for some amazing DIY projects and party printables so you can make your own vintage Americana celebration! 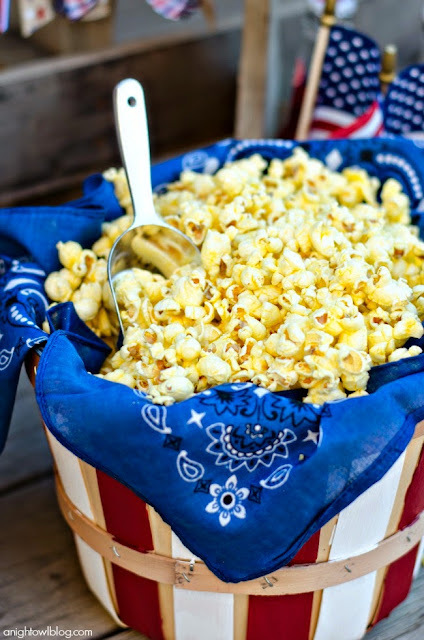 Not only do we adore these painted bushel baskets that make fabulous table display pieces, we also seriously love popcorn!! Who doesn't, right? Kimberly over at A Night Owl is a woman after our own heart as she creates her masterpieces after dark! Take a look at how she creates these patriotic baskets! 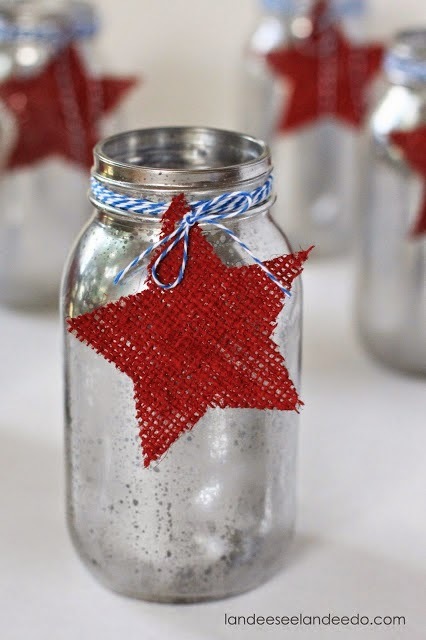 Mason canning jars are becoming oh so popular to use in decorating. An added bonus is they are inexpensive and if you live in the South you probably have them lying around waiting to be fancied up! We can't get enough of these jars painted to look like mercury glass! The process is easy and the outcome is stunning! Landee at Landeeluu gives us her secrets to creating this amazing look! However you choose to celebrate and decorate, we hope that you have an amazing Memorial Day weekend with your family and friends!